I have just finished reading the best memoir I’ve read in a long time. It’s not often I finish a book and want to start right over on Page 1. 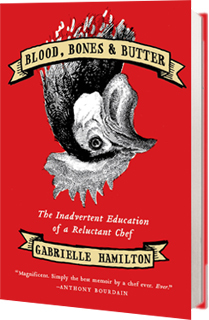 Rarer still to purchase the book before I’ve even returned my library copy–I don’t want to be parted for even a second from my new friend, Gabrielle Hamilton, author of Blood, Bones & Butter: The Inadvertent Education of a Reluctant Chef. I’m trying to write about my own running-wild years, seeking out books that tackle that same terrain for ideas to guide my feet on the path. I find Hamilton’s writing elucidating. When her wild years lead to [from the blurb] “the soulless catering factories that helped pay the rent” she writes without self-pity, and also without self-aggrandizement. None of Anthony Bourdain’s swagger here, but plenty of the pirate chef culture of which he wrote in Kitchen Confidential. When Gabrielle takes us to [again the blurb] “the kitchen of her Italian mother-in-law, who serves as the link between Hamilton’s idyllic past and her own future family—the result of a difficult and prickly marriage that nonetheless yields rich and lasting dividends” I am so there–arm linked with Gabrielle in both her love for the Italy her Michele introduces her to, and the sisterhood of women in prickly-but-dividend-yielding marriages in which, sometimes, love of the in-laws is the only thing that keep us fighting for the marriage. 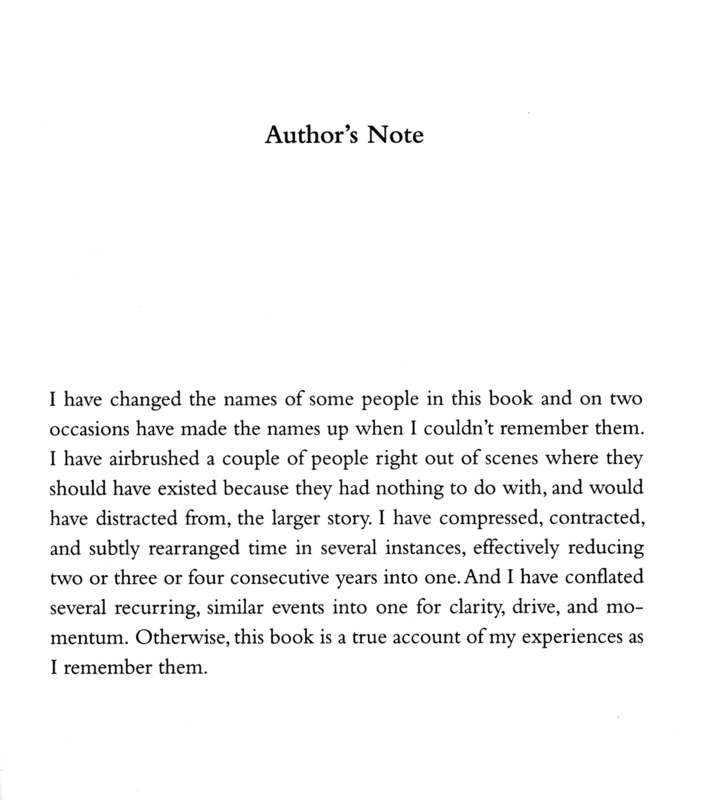 Of interest to memoirists, especially those who’ve been fluttering about Greg Mortenson’s “Three Cups of Debacle” these last few days, is the Author’s Note that follows the final chapter. You go, Gabrielle. I’ll read anything you write. And thank you for giving me the information I need to trust you to balance the true story and the story well told. This entry was posted in Book review and tagged disclaimer, foodie. Bookmark the permalink.